Character affidavits and personal affidavits are frequently used in family court for temporary hearings. If you have been asked to provide affidavits for a family court case, please read this thoroughly before starting to create your affidavit. 1. We practice law in South Carolina so this article is geared toward our SC procedures and terminology. Your state may be slightly different. And 2, the article assumes you have lawyer representation. If you don’t have a lawyer on board, just ignore the lawyer references. However, if you’re reading this, you should have a lawyer involved, if at all possible. This isn’t the time to be casual or cut corners. 3. Every case is different. The ideas presented here are for use in general. We highly advise you to get help from a licensed attorney. These affidavits are used in custody and temporary orders hearings and other serious situations. The outcomes of these hearings can have profound impacts on your life. These cases hinge on the affidavits we are discussing. Do not take anything on this website as legal advice. If you have been asked by someone involved in a family court matter to create an affidavit to support their case, this is you. The first part of this article is for you. If the person you are supporting has a lawyer, the lawyer may be involved in helping you create this affidavit. Ask the person you are supporting. If you are named in the legal action needing affidavits, you will need to create a personal affidavit as well as, getting people who know you and your situation to support your case by writing character affidavits. You need to read the whole article. The first part of the aritcle will be for your supporters, writing character affidavits. You need to know what you want them to produce so get familiar with the character affidavit part. This means: you will be writing a legal document in your own words, of your own free will. The ‘under oath’ part of the definition means that by signing the affidavit in front of a notary, the person giving the affidavit is legally bound to tell the truth in the same way as in court in front of a judge. 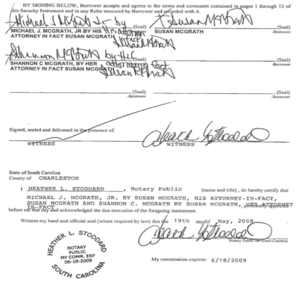 For an affidavit to be valid and used in court, it must be notarized. That means you will have to sign it in front of a notary. So don’t make a very common mistake and sign it before you see the notary. In order for an affidavit to be useful it must be four things: 1) credible; 2) knowledgeable; 3) factual; and 4) relevant. Affidavits are sworn, written statements designed to convey information to the judge in legal matters. They are used in place of witnesses that would be used in trials or other more formal proceedings. Affidavits will be filed with the court prior to your hearing. The judge will read the content of all affidavits used by both parties in the case. He/she may entertain verbal arguments made by attorneys on both sides. She may even ask questions of the parties involved. He will then consider relevant law and case law. She may ask for additional information. Next, he will make a ruling. In temporary orders hearings, we are limited (in South Carolina) to 8 pages per plaintiff and 8 pages per defendant of affidavits. This does not include attachments or exhibits. Character affidavits should be one page in most cases. Personal or client affidavits will run longer, 2 to 4 pages or more depending on the facts of the case. Attachments should be excerpted to only show the relevant sections of longer documents. Who Should Write An Affidavit? If you are named in the legal matter or case, you should write a personal affidavit. You will want to find other people who can support you by writing character or supporting affidavits. These will be people who can say good things about you and back up your claims. They have relevant information about your case. They will back up the statements and claims you make in court. Importantly, they are willing to take the time to write an affidavit and get it notarized. While it may be convenient to have your mother write a glowing affidavit about you, it may be more impactful to have more impartial neighbors, religious leaders, bosses, kid’s teachers or coaches write on your behalf. If you have supporting documentation such as photos, diagrams, receipts, copies of other documents, transcripts of recordings., etc. these can be included as attachments. Attachments are a good way to back up opinions and conclusions with facts. Also, they don’t impact the page count toward any page limitation we might have. “If you have more than one exhibit, mark them A, B, C, etc., in order, and arrange them alphabetically. Number the pages of each exhibit starting from page 1. Make it easy for the judge to get the point you are trying to make. Point out what is relevant and what makes it relevant. Who Gets To See Your Affidavit? Keep in mind, your affidavits will be read by the judge, the clerk, other court administrative staff, all parties named in the proceeding, their attorneys and staff. Your affidavit will become a public record as part of the court case. That being said, the family court system is very protective about who they allow seeing these records. Generally, your affidavit will be available to the public only on a ‘need to know’ basis. There are no guarantees to privacy. Before we break down the elements of the affidavits, here is a sample affidavit for a claim about parenting abilities. I am Jennifer Carter’s neighbor of 5 years. Our kids attend the same school as Ms. Carter’s kids and play on some of the same sports teams. I live at 1815 Elm Street, Charleston, SC. I see Ms. Carter and her son at soccer practice at least twice each week during the soccer season. Ms. Carter is the assistant coach for the team. She does a great job encouraging the kids and teaching them basic skills. See attached Exhibit B, a picture of kids at practice with Ms. Carter. I have every reason to believe that Ms. Carter is a kind, caring, devoted parent. She is a wonderful mother to her son, Billy and her daughter Carey. Respectfully submitted this the _______ day of _______________ 20_____. The judge need some background about you and your relationship to the plaintiff or defendant. As objectively as possible, list out relevant facts. Number the statements in your character affidavit to make it easier for others to refer to them later. 2. On October 3, 2018, I was walking my dog on Elm Street. Around 2 pm, I saw Ms. Parker’s grey Cadillac strike Mr. Simmon’s blue SUV at the intersection of Elm and Maple. Mr. Simmon’s car was stopped, waiting to make a left turn. End with a conclusion summarizing the point you were making in your affidavit. 3. I got a good look at the accident. Mr. Simmons was driving correctly. Ms. White failed to stop in time and was at fault in the accident. Don’t go into name calling of other parties involved. Don’t put in hearsay. Fluff. Uninformed opinion, speculation, guesses, etc. Proofread it. check spelling and grammar. Get feedback for your lawyer. Font size and spacing. Caption or no caption. Stick with the facts and opinions. Don’t lie or embellish. Don’t go overboard. Be brief. In SC, we are sometimes limited to 8 pages of affidavits. Keep it short and to the point. Also, judges don’t want to read lengthy pieces of fluff. They just want the point. Make sure to have a header line with your name and the name of the person supported by the character affidavit. Number your paragraphs. Indent the first line of each paragraph. Use a 12 pt font, so that its easy for the judge to read. Use serif fonts, also easier to read. If you need to squish the content to fit on one page, use less space between lines. Make sure the lines are left justified so the paragraphs all line up. Do what you can to save using extra pages. If your character affidavit is longer than one page including the notary section and the heading, you probably need to say more in less words. Prepare your character affidavit writers that they will have to sign the affidavit in front of a notary. They may not know how to do this. So help them out to get this done. Find location options of notaries for them. Prepare to pay any fees needed. They will need to have a valid drivers license or other government issued id. Here are some suggested places to find notaries: Your lawyer’s office, our office, UPS store (for a small fee, call first), banks, other attorney offices. Check the web for other ideas. Alway call first to make sure the notary will be there when you come. Your lawyer’s and staff should be an option. The notarizing section of the document needs to be big enough for the notary to add notary info and apply a stamp. If you are tight on page count for your affidavits, make sure the notary section is not taking up too much space. After you get the affidavit notarized, you will want to make 4 copies. If you have a lawyer, they can do this. You will get a copy, one for your lawyer, one for your spouse’s lawyer, one for the judge and the original gets files with the court. In a court document, captions are the formal heading section that refences the the court case, the type of document, case number, dates and other details. Captions are great, if you have room for them. In other words, if your affidavit goes from one to two pages because it includes a caption, lose the caption. Character affidavits without captions may be less formal looking, less professional looking, etc. 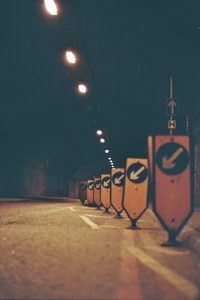 They will still be read. They will still be as powerful as affidavits without captions. Just be sure that somewhere in the character affidavit, you reference: who you are and who your affidavit supports. Personal affidavits will usually be prepared, in part, by the lawyer and will usually have a caption. If you are reading this article to as a character affidavit writer to support someone else, you don’t have to read this section. It only applies to people named in the case. Skip below for the samples at the bottom. If you are a party to the case, writing your personal affidavit, read this section carefully. Your affidavit is going to be the most important piece of your legal case. Be sure to get it done right. If you have a lawyer, they should be involved in creating your affidavit. Your personal (sometimes called client) affidavit will be a little different the character affidavits your supporters are creating. Your personal affidavit will be the presentation of your case. It tells your side of the story. It allows you to present evidence documents that back up your claims. Your personal affidavit will respond to any complaints against you (if you are defending) or reinforce the points you included in your complaint (if you are the plaintiff). Make sure to add attachments as needed and refer to them in your affidavit. The judge will clearly understand what each of you want by this point in just those few lines. Next, you will have to fill in with some detail about why your request is justified. Of course, these examples address just one topic. In most situations, there are many such points to be made. List out the points you feel need to make. Get with your lawyer to prioritize them. Then put them into your words. Order them for most important to least important. If there are incidents that happen over time, list them in sequence. Make sure the judge will be able to understand your timeline. If your are a defendant, you may have counterclaims. Your personal affidavit should address those too. This may be the first time the jugde hears about the counterclaims you will be making. In many hearings, the judge will not be hearing any verbal testimony or argument. If there are points you want to make with the judge, the affidavit is your only avenue. Your personal affidavit will be longer than the character affidavits you supporters are writing. Four-page affidavits are common. Creating a powerful affidavit is an iterative process. You and your lawyer will repeat a cycle of edit, proofread, improve until you get the version you both think will work. If you are not using a lawyer, find someone who can help you write , edit and proofread. Since your affidavit is the most important one you present, it should have a caption. See above section on captions. A blank character affidavit text form is provided below. Copy and paste into whatever word processing program you use and edit it to suit your particular needs. 1. Replace all the text below in these numbered sections with your own words. Start off saying who you are and what your relationship is to the person you are supporting. 2. Indent like this sample. Number the paragraphs. State relevant facts about the person you are supporting. Don’t make disparaging remarks about others. Reference attachments if any are used. 3. Be concise, yet use the space you need to convey the facts. Consult the person you’re supporting or their attorney with questions. 4. Wrap up with a conclusion. Try to keep your affidavit to less than a page including the heading and notary section. SWORN TO & SUBSCRIBED before me this _____ day of ______________20____.